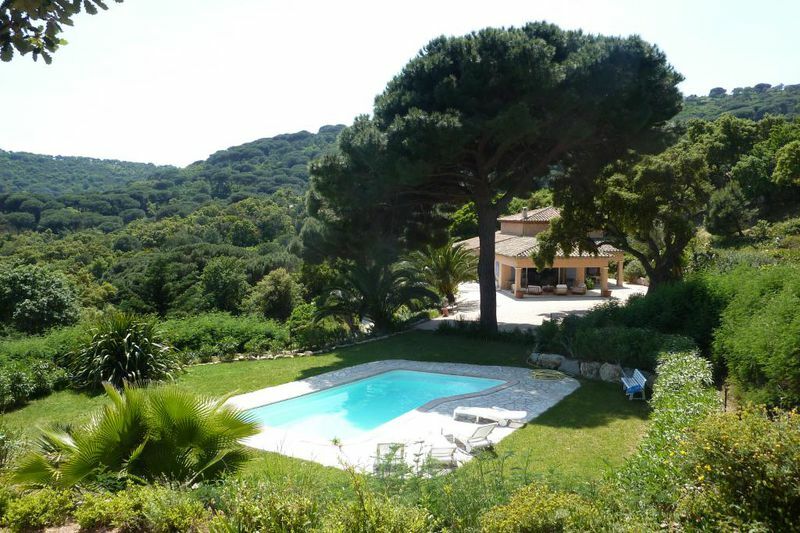 RAMATUELLE, PAMPELONNE Beach: Lovely villa, just minutes away from the beaches! 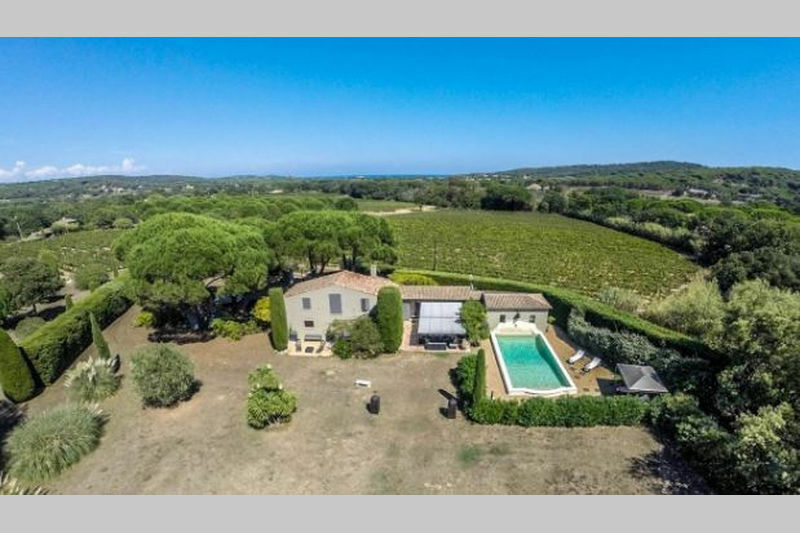 Only a few meters from the beach of Pampelonne and its famous Club 55, at the end of a small alley: beautiful villa on a plot of land of 1.375 sqm. 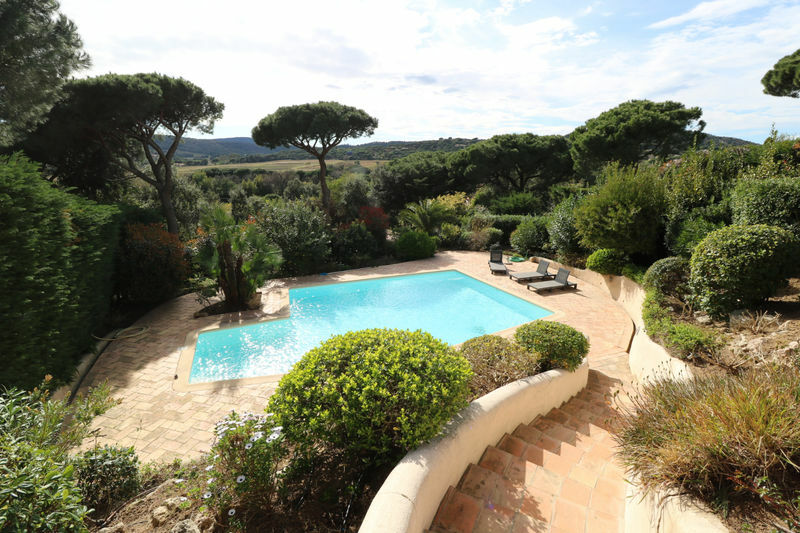 The enjoyable villa, of approx.. 220m², is organized on three levels. Entry hall; large lounge with dining area, leading to the large terrace; an open plan kitchen with cellar with access to the covered terrace. Five bedrooms, four bathrooms (or shower rooms). 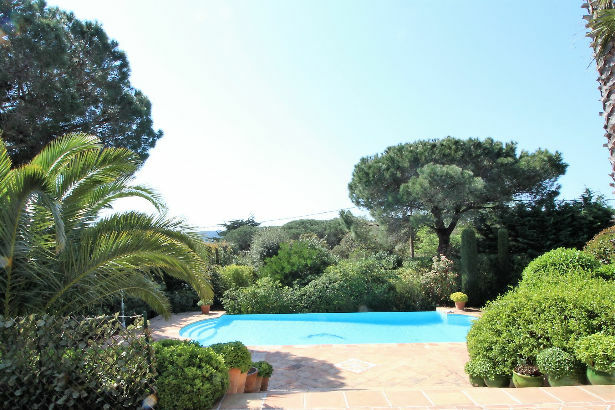 Heated swimming pool of 12 x 5 m; Lovely southern garden. Southwestern exposure. Alarm system. Lovely villa, in good condition, ideally located! 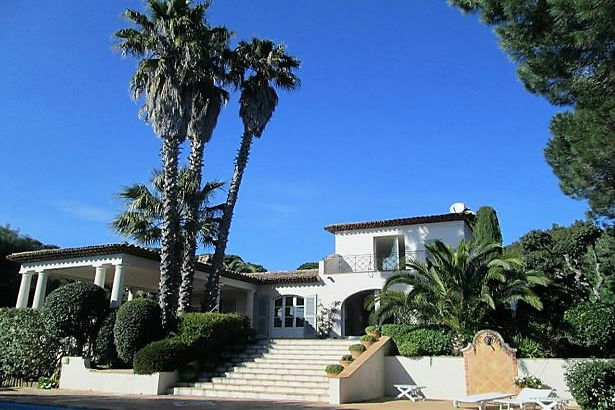 PS This villa can also be rented for the season.